The newly acquired 124-acre Buckley Buffer-Jewel Avenue property is the first in a series of conservation efforts designed to buffer Buckley Air Force Base (Buckley AFB) from encroaching development and create a protected corridor for parks, trails, and wildlife habitat. The expansive buffer will connect to new trails and surrounding parks, including the future Triple Creek Greenway, a continuous 27-mile corridor stretching from the South Platte River in north Denver to the Aurora Reservoir. It is also the initial step in creating a protected corridor ensuring that wildlife can move outside of the Buckley AFB boundary and access the habitat along Sand, Coal, and Senac Creeks. In addition, a soft surface trail is planned that will provide access for wildlife viewers, walkers, and cyclists to experience nature close to home. 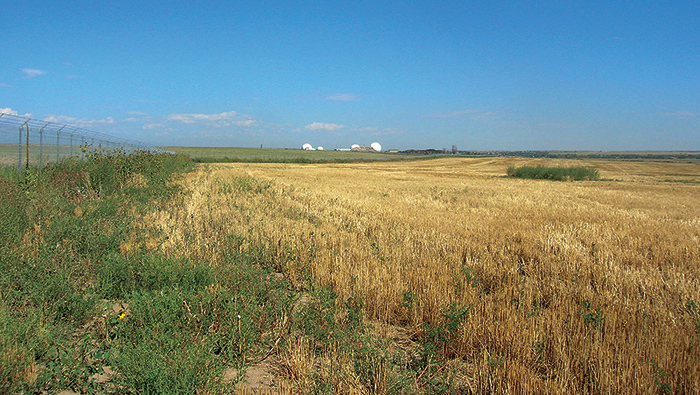 This acquisition is the first project completed by The Trust for Public Land in Colorado using funds from the Department of Defense's Readiness and Environmental Protection Integration Program as well as state funds granted to the Colorado Department of Military and Veterans Affairs for acquisitions buffering Buckley AFB.